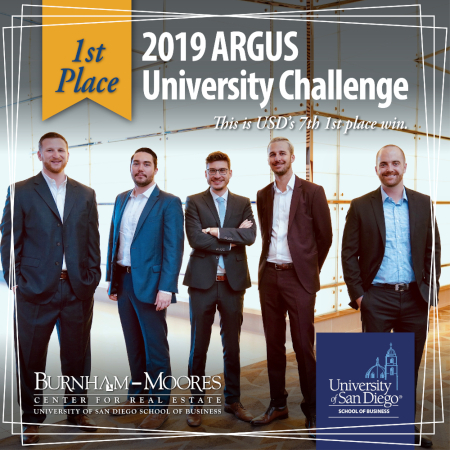 The Burnham-Moores Center for Real Estate (BMC) is pleased to announce that a team of University of San Diego (USD) School of Business Master of Science in Real Estate (MSRE) students were awarded first place in the 2019 ARGUS University Challenge. This is the seventh time the USD ARGUS team has taken first place. The team has placed second the other three years the competition was held. 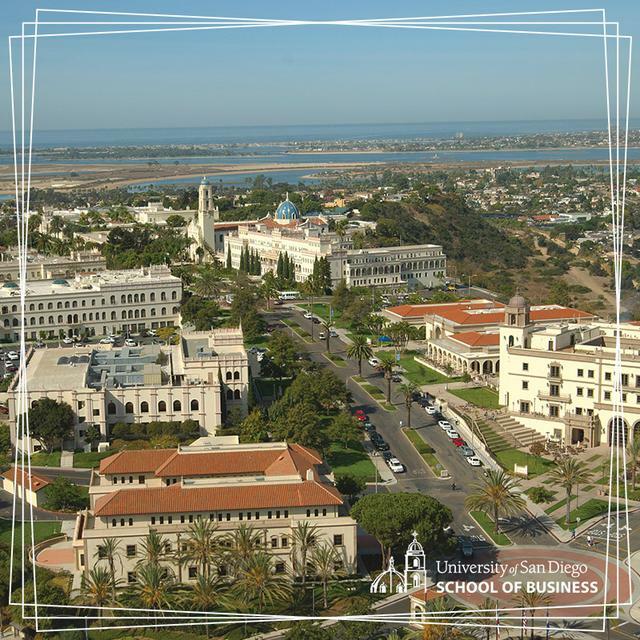 The University of Pennsylvania, Wharton School of Business and Cal Poly, San Luis Obispo were awarded second and third place respectively in this year’s competition. An honorable mention was given to the University of Melbourne. 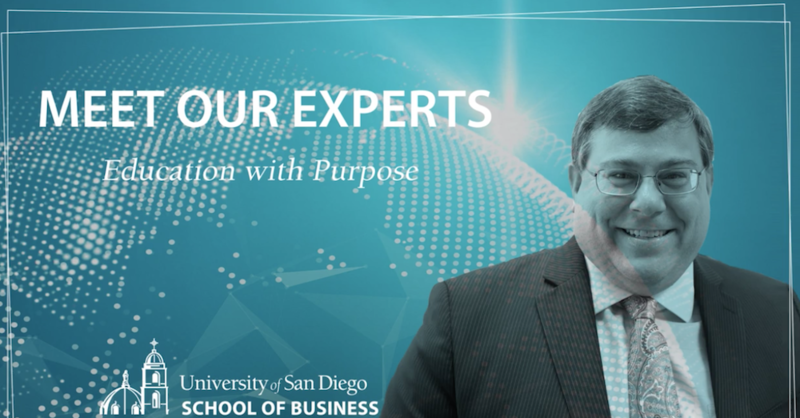 More than 70 teams from approximately 50 schools from around the world competed in this 2019 challenge, including: Columbia University; Cornell University; Harvard University; John Hopkins University; University of California, Berkeley; and University of Wisconsin. Each year, the Altus Group offers the ARGUS University Challenge. Teams of aspiring real estate professionals from universities all over the world participate in this competition. Each team is challenged to present a paper with the best investment analysis and conclusion for a fictitious real estate opportunity. The 2019 University Challenge began on Feb. 8 and the case was titled “The Marvelous Return Home.” Description of the case: In a world where supervillains and superheroes exist, this year’s case presented teams with a fictitious property in the small town of “Northeasternville.” Each team’s mission was to evaluate the investment potential of a multi-story mixed-use structure at the intersection of Main Street and Railroad Avenue. 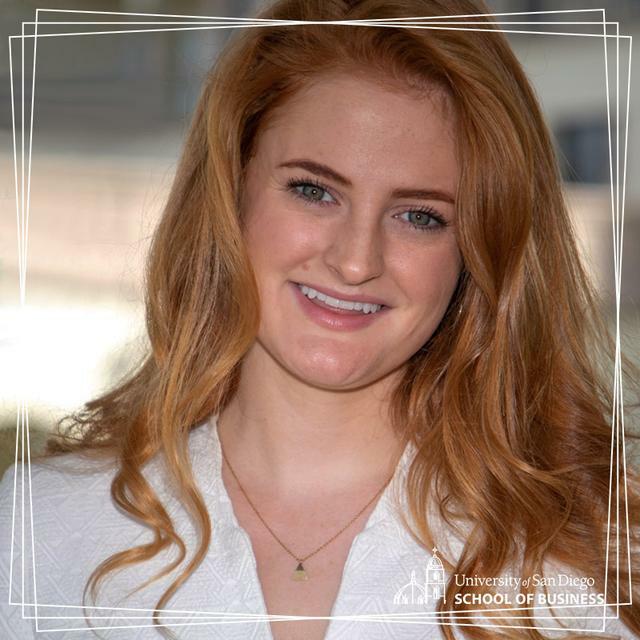 Teams were required to use one of three provided scenarios or to construct a “more marvelous one.” Each team was required to submit their written report by March 25 and a panel of judges reviewed the case submissions and announced the winners on April 8. Student teams competed for scholarships totaling $25,000, which were awarded to the top four teams. The first-place team is also invited to attend the 2019 ARGUS Connect Conference, which will be held in Laguna Niguel, CA this year from April 29-May 1.